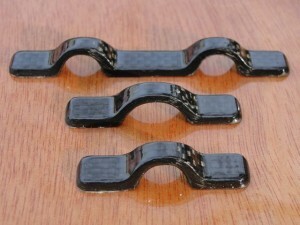 Russell has begun producing carbon eye straps that are now for sale on our website. There are more photos. Check them out on our hardware page! Things are moving forward on the Nesting Dinghy. With the idea of incorporating what Russell feels are important properties, and taking into consideration the wishes expressed by some of you following this boat, Russell has revised the design. 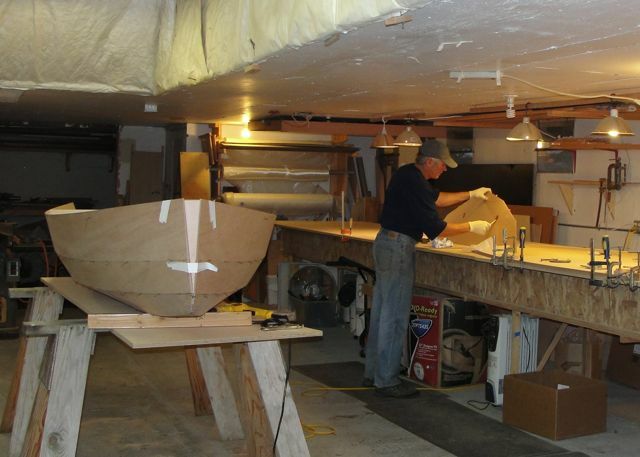 A test hull is presently being built. This hull is different from the prototype pictured on our website in 2 main ways. Once tested, he will begin working on the actual prototype and the builder’s manual. I would like to mention that Russell has been working on the nesting dinghy design and we hope to start a blog for it soon. Cheers.